This full-body cleanser gently cleans dry, sensitive skin. 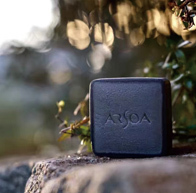 This body soap washes away unwanted dirt and keeps your body clean while moisturizing and protecting the skin. It is a mild, full-body cleanser recommended for those with dry, sensitive skin. This full-body cleanser gently cleans dry, sensitive skin. This body soap washes away unwanted dirt and keeps your body clean while moisturizing and protecting the skin. It is a mild, full-body cleanser recommended for those with dry, sensitive skin. It washes away sweat, dirt and other impurities while leaving the skin moisturized. It gently cleans dry skin while keeping it feeling soothed. Common glasswort extract, hakkaku-reishi extract and acetyl glutamine are blended in as the moisturizing ingredients. This is a mild cleanser that uses a cleansing ingredient derived from silk (sodium lauroyl hydrolyzed silk). Be sure to use this product only in the recommend amount. Using excessive amounts may irritate skin, particularly sensitive skin. Lather up thoroughly and wash the face gently with the right amount of facial cleanser. When washing, wash quickly without leaving the soap on your skin for extended periods of time and without scrubbing the skin strongly.